A well-equipped sick bay has been put in place to attend to the health needs of our students. The sick bay is managed by a qualified nurse. 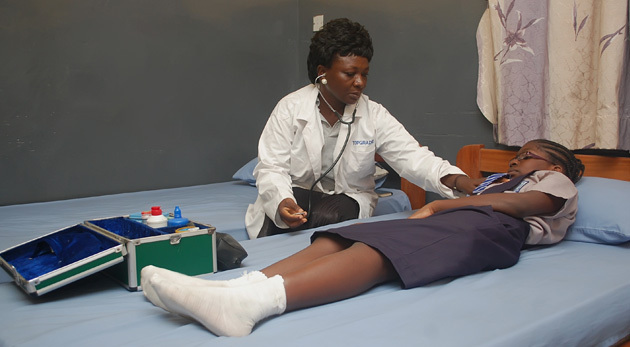 The school is also registered with a popular specialist hospital in Surulere. Cases of emergency are referred to the hospital with the consent of the parents. It is mandatory that every student have completed medical record on file. 4/5/6, Adedamola Ojomo Close, Off Bode Thomas Street,Surulere, Lagos. Simply enter your email address in the text field provided and click signup to subscibe to or newsletters. Copyright © 2019 Topgrade Secondary School. All Rights Reserved.